I’m Tom Lindsay, and I live in the gun friendly town of Kennesaw, Georgia. I’m not an Operator. I’ve never been in the military or law enforcement. I’m just a regular guy who likes guns and shooting. I support the Second Amendment right to keep and bear arms. 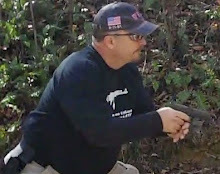 I’ve been shooting a little over 20 years, and I compete in USPSA and GSSF. I am a certified Glock Armorer, and a degreed chemical engineer. Besides shooting, I love barbecue, jazz, bluegrass, cars, and a whole bunch of other stuff. I even blog about my barbecue efforts at SkinThatSmokeWagon. While I’m not as active on Twitter as I once was, you can follow my gun musings here and my business Twitter feed here. Here is my philosophy of Twitter. Having said all that, in 2016 I was diagnosed with Acute Myeloid Leukemia, which is essentially bone marrow cancer. But thanks to chemotherapy and a bone marrow transplant, I am cancer free now since June 2016. You can read about my leukemia at Plumb Mad Dog Mean. So, I don’t post here as much as I want to, but hopefully that will change. Feel free to challenge the thoughts and opinions you read here. You can email me at fillyerhands@gmail.com. Content copyright (c) 2011 – 2018 Tom Lindsay. All Rights Reserved. This site uses 100% post-consumer recycled HTML code. If you sight is still active, please tell your brother Michael that Georgia’s mom says hello. Good to know he is safe and well.